The financial aid application you submit allows a processor for the U.S. Department of Education to apply a standard formula to the information you have provided and determine you eligibility for financial aid. Contribution (EFC) number, the amount you and/or your family are expected to contribute toward your education. When we receive all application materials required for your file, a counselor reviews the application in a process called "need analysis". In need analysis, income an set information from both the student and the parent is reviewed, an the EFC is subtracted from the costs of attendance for one academic year. The remainder is the amount of financial need/eligibility for financial assistance. Scholarship funds are provided and administered by a variety of sources both on-campus and off-campus. Due to the large number of programs and requirements involved, specific payment dates are not always predictable. Your disbursement schedule shows approximate amounts for each academic term. When funds are received and requirements are met on a timely basis, scholarship checks are made available the week before the Fall and/or Spring Semester. Will I have to pay it back? No, scholarship awards do not have to be repaid. Please visit the Scholarships Information section of the Financial Aid web site for all application information and scholarship listings. Pell Grants are awarded to undergraduate students to pay for their education. In some cases, you may receive a Pell Grant if you are attending a post-baccalaureate teacher credential program. Is the Pell Grant available to undergraduates only? No. Pell Grant is available for some students enrolled in a program which does not lead to a graduate degree but is required to obtain a 1st Teaching Credential. If you are in the credential program, have your bachelor’s degree, do not have a preliminary credential and are not seeking an advanced credential, you may qualify. Students deemed eligible for the Federal Pell Grant by meeting the Estimated Family Contribution thresholds and program requirements will be awarded. How much is a student eligible for? Cal Grants are need-based grants provided by the State for California residents. When students file a FAFSA and GPA Verification Form by the March 2 deadline, they will be considered for Cal Grants. NOTE: Renewal Cal Grant recipients are only required to file a FAFSA and meet the eligibility criteria every year. No. This award does not have to be repaid. The State University Grant is a need-based program designed to specifically help California State University students with paying fees. Candidates for this program must be California residents and be enrolled in an undergraduate or graduate program. What are the qualifications for this Grant? Students with an Estimated Family Contribution (EFC) between 0 and 5500 for undergraduate and 0 to 4000 for graduates and credentials and meet the residency and program requirements are eligible to receive a State University Grant. Students must have filed their FAFSA by March 2nd. Students that are Cal Grant eligible will not be awarded the State University Grant. Students must be enrolled at least half time in order to receive the State University Grant. Credential students must be enrolled in credential courses in order to receive the State University Grant. SUG will be prorated based on enrollment. Students who are receiving a fee waiver, or other sources to help assist with paying tuition fees will not be eligible for the SUG. The State University Grant is not applicable for students enrolled in an external Degree program. For addtional SUG eligiblity requirements, click here. SEOG is assistance for undergraduate students who are enrolled at least half-time and demonstrate exceptional financial need. Awards range from $250 to $500 per academic year. Students that have an EFC between 0 and 2000 and have filed their FAFSA by March 2nd are eligible to receive funding from SEOG. Funds are limited. Students will be funded until we award all available funds. Students must be in at least 6 units in order to receive the grant. This program provides funding to a limited number of full-time undergraduate students who are admitted through the University’s Educational Opportunity Program. Grants range from $500 to $800 per academic year. For more information regarding the Educational Opportunity Program. Students that have an EFC between 0 and 4000 and have filed their FAFSA by March 2nd are eligible to receive funding from the EOP Grant. Funds are limited. Students will be funded until we award all available funds. Students must also be a part of the Educational Opportunity Program. Students must be in at least 6 units in order to receive the grant. Students who are receiving a fee waiver, or other sources to help assist with paying tuition fees will not be eligible for the EOP. The Educational Opportunity Program Grant is not applicable for students enrolled in an external Degree program. Middle Class Scholarship (MCS) is administered by the California Student Aid Commission (CSAC) to eligible students. Enacted by the Legislature in 2013, the Middle Class Scholarship makes college more affordable for California's middle class families, who are mostly not being served by other programs. What are the qualifications for MCS? Students who are receiving a fee waiver, such as a Cal Vet fee waiver, or other sources to help assist with paying tuition fees will not be eligible for the MCS. The Middle Class Scholarship is not applicable for students enrolled in an external Degree program. For more information go to CSAC's MCS information website. Employment during the academic year. Jobs are located on or off campus. Wages are at or above the federal minimum. Students are encouraged to earn their wages monthly throughout the academic year. Students that have a FAFSA filing date of March 2nd, express interest in the FWS program on their FAFSA, and have a need of $4000 are eligible for funding. Funds are limited. Students must be at least half time in order to receive FWS. No. Students under this program earn the Federal Work-Study award by working. The total amount you may earn depends on the amount of your work-study offer and the number of hours you work per week (20 hours maximum). These are low-interest variable rate (capped at 6.80%) loans made by participating lenders to undergraduate or graduate students who are enrolled at least half-time. Annual limits range from $3,500 to $20,500. Yes. Repayment of both principal and interest will begin after ceasing enrollment, drop below half-time enrollment, or graduate. The monthly repayment will start at a minimum of $50 per month. How do I apply for a Direct Loan at Stanislaus State? Accept your loan on your myStanState account. If you are a first time borrower, complete the mandatory Entrance Loan Counseling requirement and complete a Master Promissory Note (MPN). You must be enrolled in coursework at least halftime, wait listed courses do not count. For additional information on Direct Loans please visit Apply for a Loan. This is a low-interest loan available to the parents of dependent students. PLUS eligibility is not based on need. A parent with good credit history may borrow the entire cost of attendance minus any other financial aid. These loans are made by participating banks, savings and loans, credit unions, etc. The parent borrower is responsible for payment of this loan. Repayment of principal and interest begins approximately sixty days after receipt of the loan. 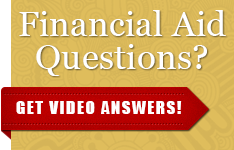 How does a parent apply for the parent loan at Stanislaus State? To obtain a PLUS: The student must file the FAFSA, be admitted to the University, receive a Financial Aid Award notification, and enroll at least halftime. The parent applicant must complete a Parent PLUS Loan Request Form and complete a Master Promissory Note (MPN). For more information on the Parent loan please visit Apply for a Loan. Cal-Grant TCP is for students who were Cal-Grant A or B recipients as undergraduates and plan to enroll in a Teaching Credential Program. Eligible students are required to have a Bachelors Degree, file a FAFSA for the academic year for which they plan to receive benefits, and complete a Request for Cal-Grant TCP Benefits form (G-44). Eligible recipients should apply for TCP benefits after receiving their bachelors degree and after being formally admitted to the teaching credential program. Students that are enrolled in the Master of Business Administration program may be eligible for this grant. Students that file their FAFSA or Dream Act application by the priority deadline of March 2nd and have an Estimated Family Contribution (EFC) below 4000 may be eligible for the grant. Students who are enrolled in the Doctor of Education Program maybe be eligible for this grant. Student that filed their FAFSA or Dream Act application by the priority deadline of March 2nd and have an Estimated Family Contribution (EFC) below 4000 maybe be eligible for the grant. These funds are available to all registered students to help meet emergency educational and living expenses. Some restrictions are applied to loan amounts. Applications for the Short-Term Loan Program are available in the Financial Aid office. Conditions listed below are the conditions of the Short-Term Loan Program. Please read carefully. Applicants must be registered students in order to apply for a short-term loan. Requests should be to meet emergency or unexpected school related expenses. No student will be allowed two concurrent short-term loans, nor more than one per semester or two per year. If it is necessary to request an extension of the repayment, you must come in PRIOR to the due date. Failure to do so could result in the denial of further loans. If justifiable, one extension per year may be allowed, not to exceed the end of the present term. A late fee of $20.00 (Twenty Dollars) will be added when repayment is not made by the stipulated due date. You will be considered in default once the due date is passed, and your loan may be turned over to a collection agency. Students whose loans reach thirty days past due will not be eligible for further loans. University services (registration, transcripts, etc.) will be withheld from any student who has an unpaid financial obligation. In addition, if you withdraw from school your loan will be due immediately. All outstanding short-term loans will automatically be deducted from financial aid pay-outs. Applicants must have a firm and realistic repayment source. Processing of a loan will take from 5 to 7 working days. Once processed, the check will be available after 3:00 PM at the Cashiers Office. Incomplete or illegible short-term loan applications will be denied. Loans need to be fully repaid within 30 days from the date of application. Conditions: In exchange for receiving the TEACH Grant, the student must agree to serve as a full time teacher in a high-need field in a public or private elementary or secondary school that serves low-income students. As a recipient of the TEACH Grant, the student must teach for at least four academic years within eight calendar years of completing the program of study for which they received the TEACH Grant. IMPORTANT: if the student fails to complete this service obligation, all amounts of the TEACH Grant that the student received will be converted to a Federal Direct Unsubsidized Loan. The grantee must then repay this loan to the U.S. Department of Education with interest accrued from the day the grant(s) was disbursed. Be enrolled as a post-baccalaureate, or graduate student in a post-secondary educational institution that has chosen to participate in the TEACH Grant Program. Be enrolled in coursework that is necessary to begin a career in teaching or plan to complete such coursework. Such course work may include subject area courses (e.g., math courses for a student who intends to be a math teacher). Students who need to cancel their registration or to withdraw from all classes after enrolling for any academic term are required to follow the university's official withdrawal procedures. Failing to do so, may result in an obligation to pay fees as well as the assignment of failing grades in all courses and the need to apply for readmission before being allowed to enroll in another academic term. Students who receive financial aid funds must consult with the Financial Aid office prior to withdrawing from the university regarding any required return or repayment of grant or loan assistance received for that academic term or payment period. Students who withdraw or cease to be enrolled prior to the end of a payment period and have received Federal or State aid must have a Return of Title IV Funds calculation performed or a pro-rata adjustment to their aid. This calculation if performed by the Financial Aid Office. A student begins earning Title IV funds on the first day of attendance. Therefore, if a student withdraws before a school’s census date, Stanislaus State will perform a Return of Title IV funds calculation using the number of days the student attended. A student that withdraws from all units before the first day of school is not subject to Return of Title IV funds calculation all federal and state funds are all canceled and returned to the programs.